6 images. 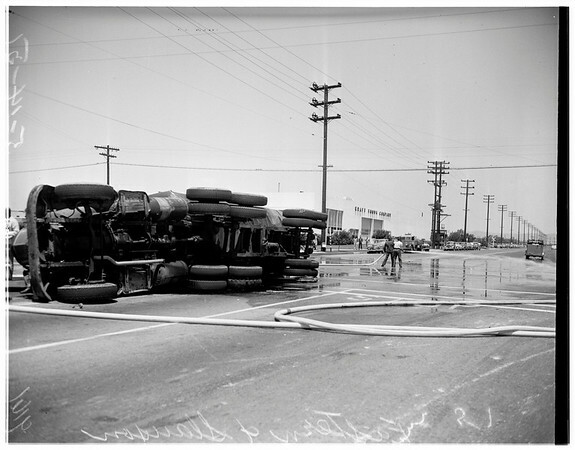 Molasses truck upset (Eastern and Slauson), May 14, 1951. Washing down spilled molasses from overturned truck.